The photo on the right shows a good example of a campsite. ​Some of the information take directly from the Park regulation brochure which can be viewed in PDF here is listed below as preview material. ​Fires must be built on bare rock or bare mineral soil and kept away from all flammable materials. Drown your fire thoroughly, stir the ashes, and drown it again to ensure that it is dead out. The use of portable camp stoves is highly recommended at all times and is mandatory in a Restricted Fire Zone (RFZ) where open fires are prohibited. Please call the office prior to your trip to find out if a RFZ is in place. ​Nine (9) people is the maximum party size allowed on a campsite. This regulation lessens the impact that large groups may have on the fragile park land. 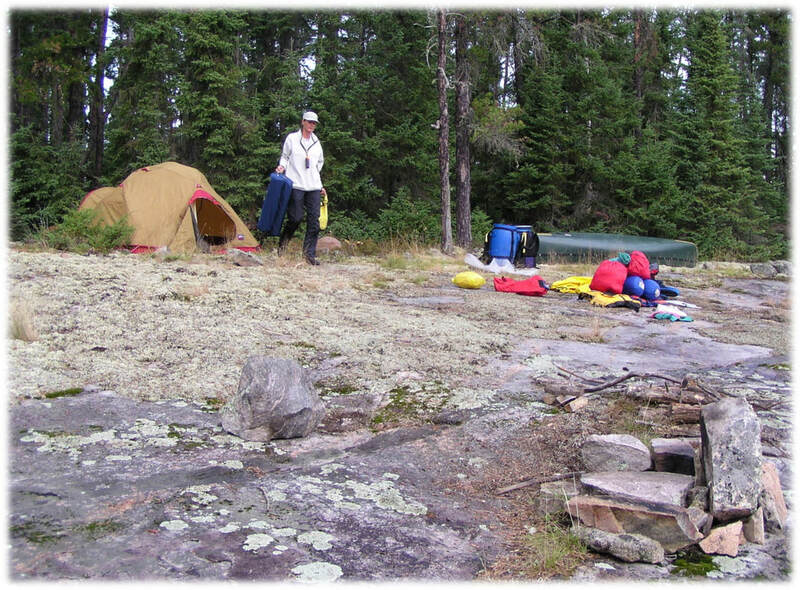 Larger parties are required to split up into smaller camping groups and each group must have an interior camping permit. 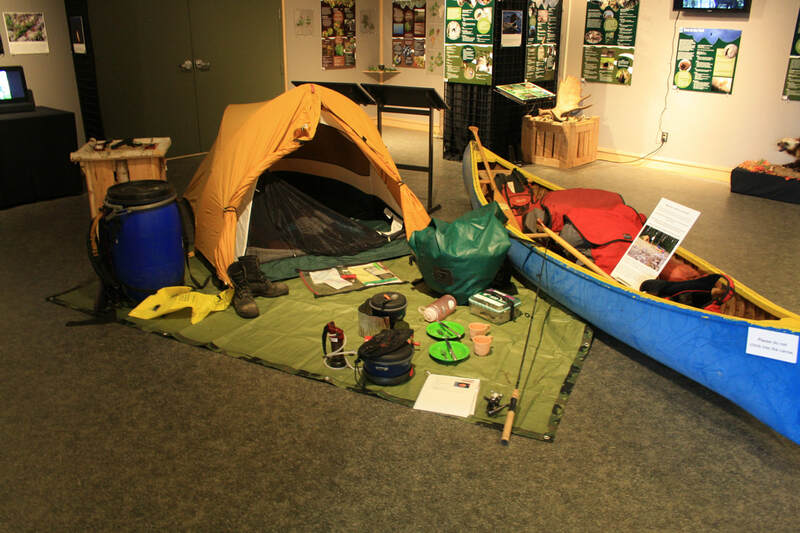 Feel free to check out an example campsite in person at the Heritage Centre!